In what could be a wake-up call to global conservation efforts, a new report by the Rights and Resources Initiative (RRI) says that legal protections for indigenous and rural women to own and manage property are missing in India and 29 other low and middle-income countries, together which account for 3/4th of the developing world’s forest. The study analysed 80 legal frameworks in these countries and said that although they all have ratified the UN Convention on the Elimination of All Forms of Discrimination against Women (CEDAW), not one met the minimum standards outlined in the Convention. The lack of legal protection for women’s land rights can make community lands vulnerable to theft and exploitation, threatening the world’s tropical forests—a critical bulwark against climate change, adds the report. This also undermines the efforts to empower indigenous peoples and local communities, conservation efforts and reduce poverty. The gender disparity in FRA, 2006 in the implementation has been highlighted previously by Down To Earth. The FRA, 2006 in India is one of only two legal frameworks (out of 80) where women's community-level voting and leadership rights are guaranteed through a quorum requirement, it said. It explicitly recognises women as community-members, one of only 23 legal frameworks of the 80 identified in this analysis to do so. Only four countries—Bolivia, Brazil, Colombia, and Venezuela—were shown to have adequate legal protections concerning the rights of women to constitutional equal protection, property ownership/management and inheritance. The report also highlights that protections for women in community tenure systems were markedly weaker than protections in national constitutions. It said that legal frameworks which acknowledge communities as forest owners provide the greatest protections for women’s rights. In contrast, frameworks established for conservation purposes offer the fewest and weakest protections for women. “This surprising finding is a wake-up call to global conservation organisations. Ensuring the rights of indigenous peoples, and particularly indigenous women, is paramount to successful conservation efforts,” Tauli-Corpuz added. Only 57 per cent (17 of the 80) countries analysed affirm women’s property rights. Only eight (27 per cent) mandate that daughters, widows, and unmarried women in consensual unions have equal rights to inherit alongside their male counterparts. More than a third of the countries assessed have laws that either discriminate against daughters, widows, and/or women in consensual unions, or defer to religious or customary law without safeguarding women’s inheritance rights. In many countries, including Mexico, Pakistan, Swaziland, Tanzania, Zambia, migration from rural to urban areas has been led predominantly by men, leaving behind women to work the farms and care for their families. These demographic shifts increase the stakes of women’s long-running efforts to achieve equal rights under law. Indigenous peoples and local communities manage at least 24 percent of the total carbon stored above ground in the world’s tropical forests, which is more than 250 times the amount of carbon dioxide emitted by global air travel in 2015. Yet indigenous peoples and communities globally have legally recognised ownership rights to only one-fifth of their customary lands. A study on women entitlements in the Forest Rights Act, 2006 in Dumbriguda Mandal, Vizag. 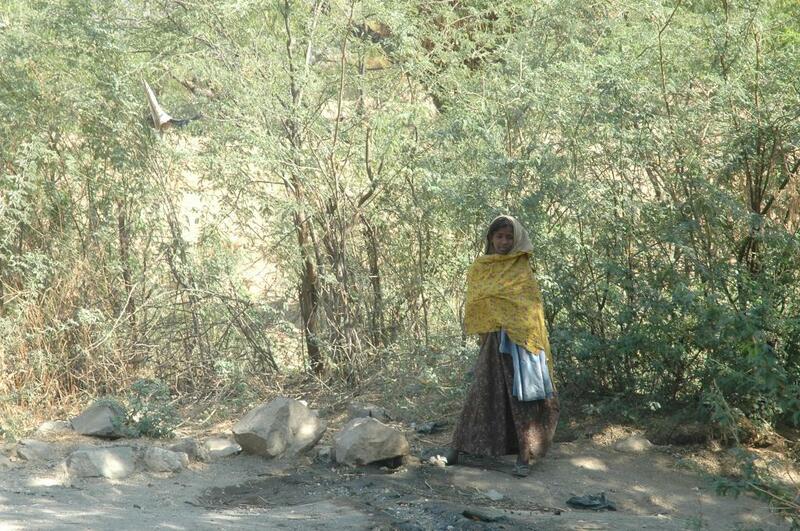 Protection of Rights of indigenous and rural women is nothing but "Conservation of Nature for a Better Future"!